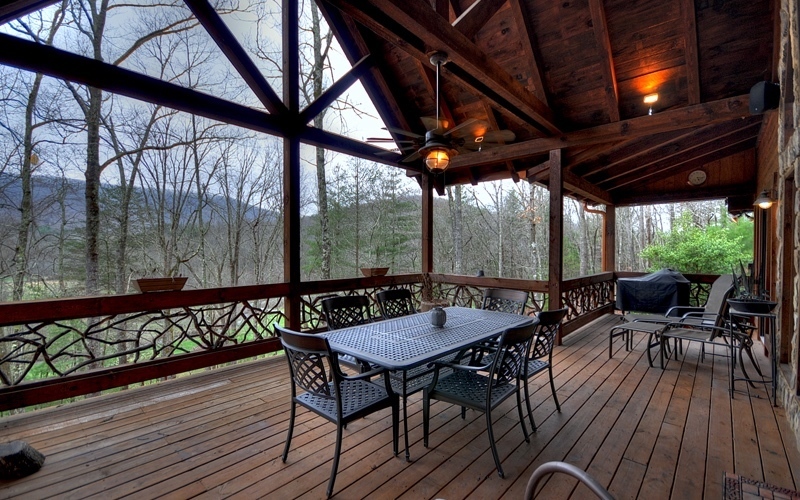 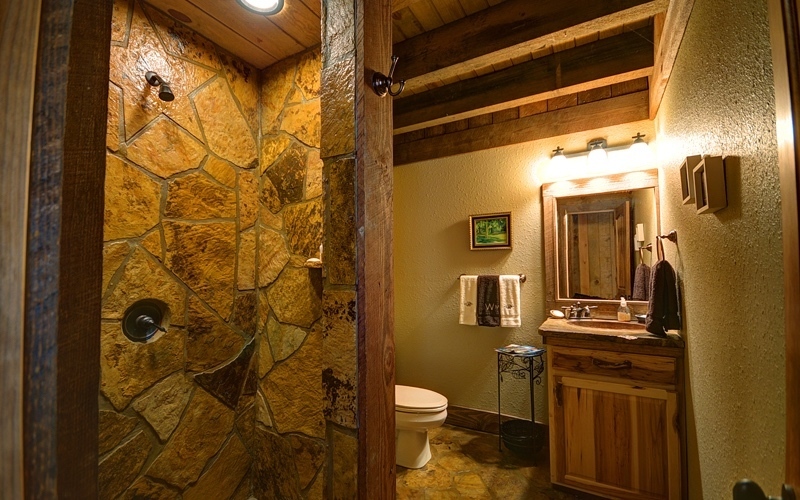 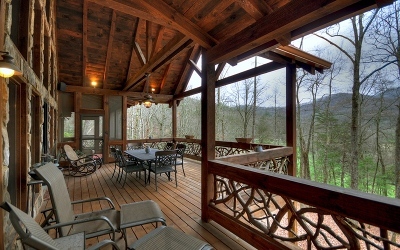 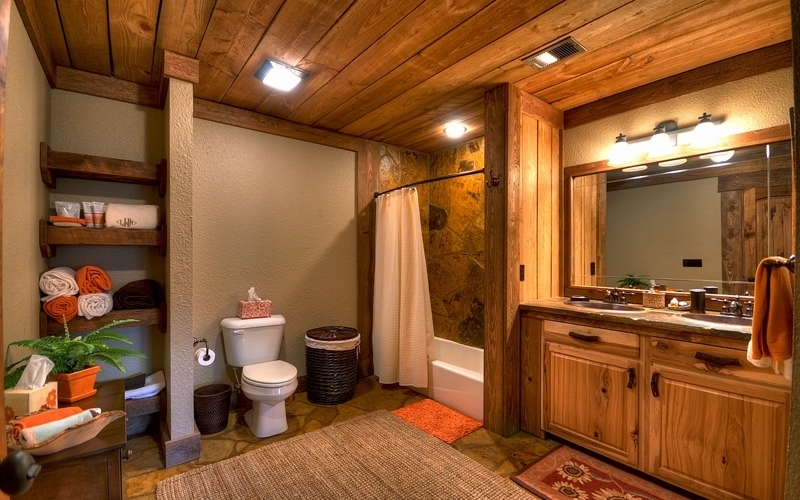 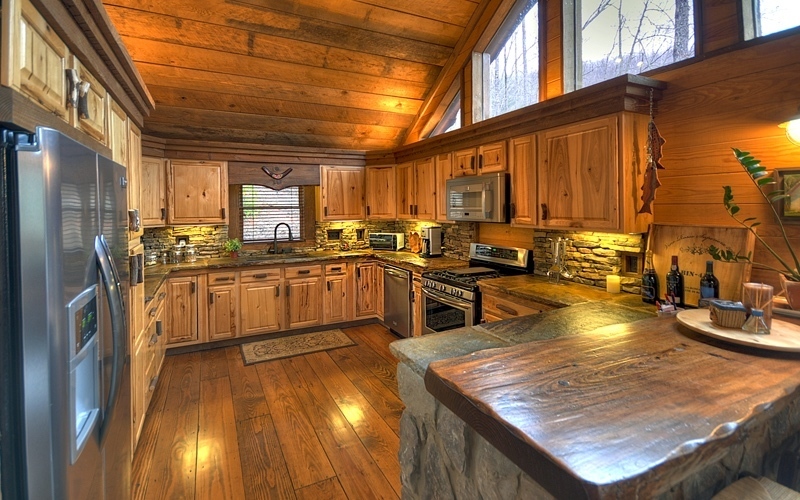 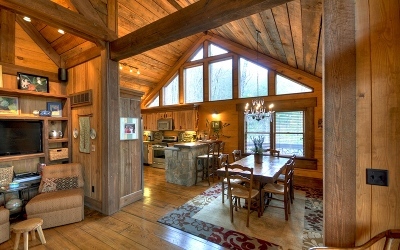 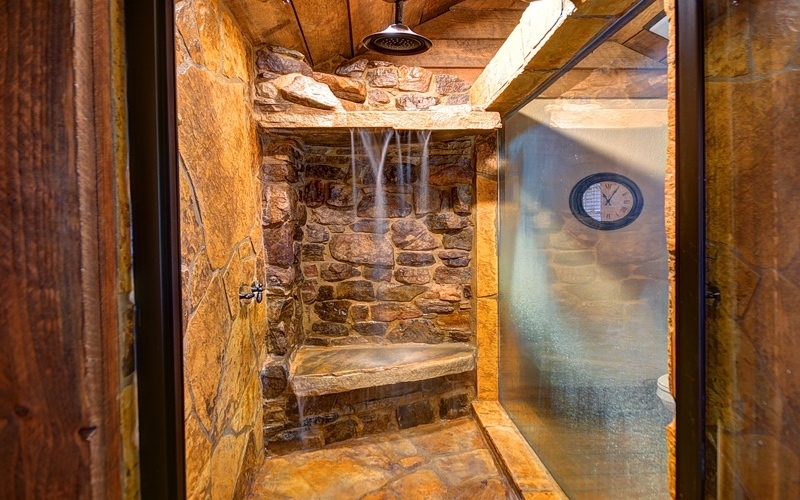 MOUNTAIN LIVING AT IT&apos;S BEST Gorgeous Keith Sunmer Home w/ 4 BR, 4 BA incl. 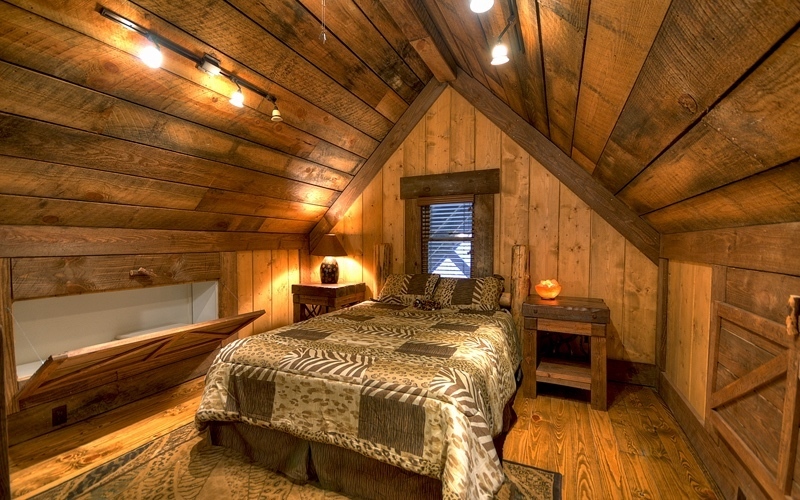 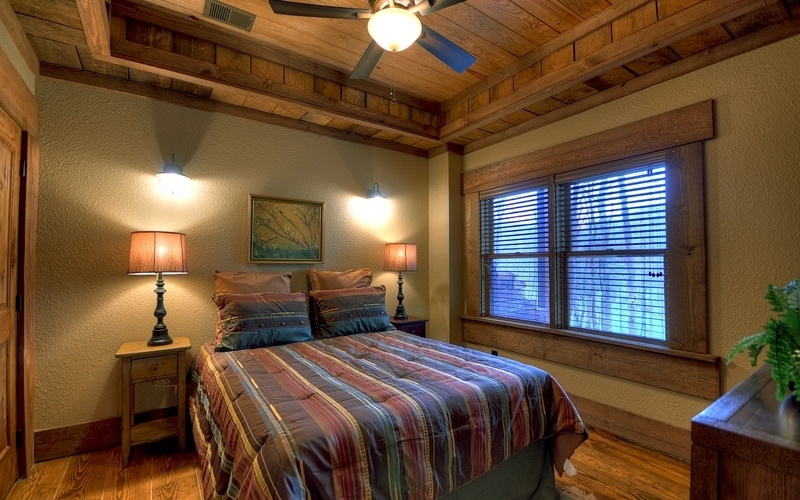 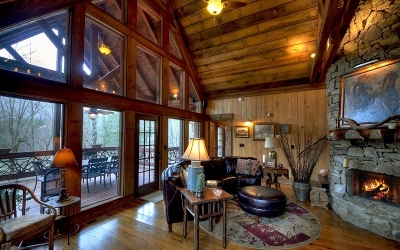 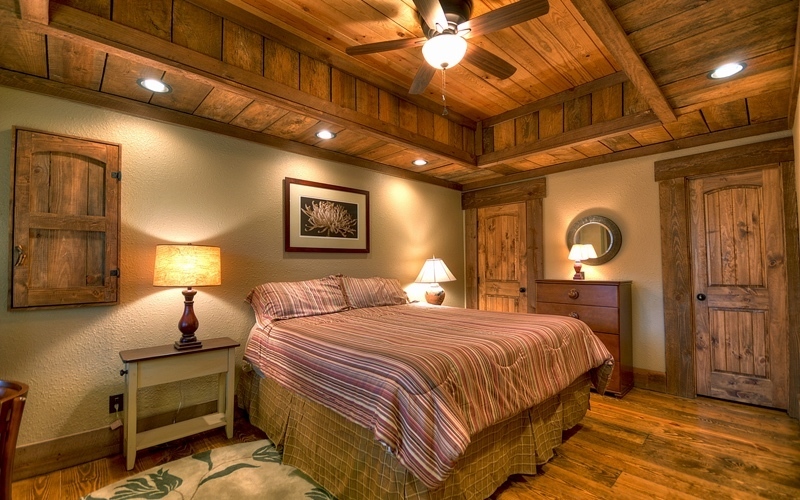 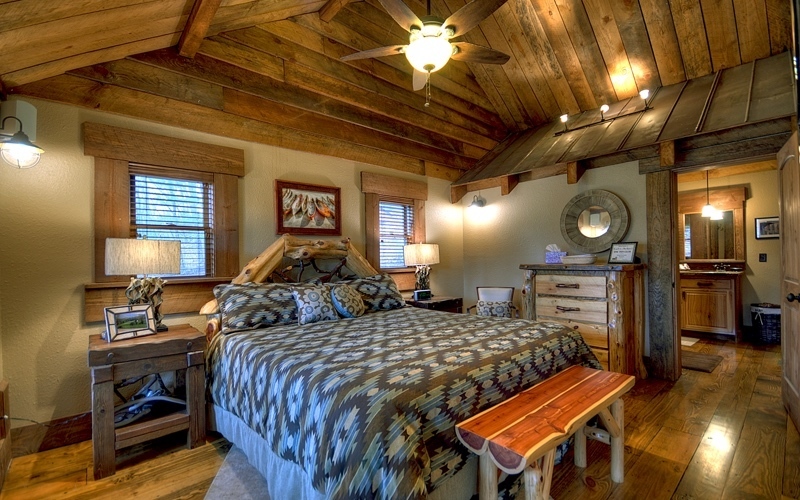 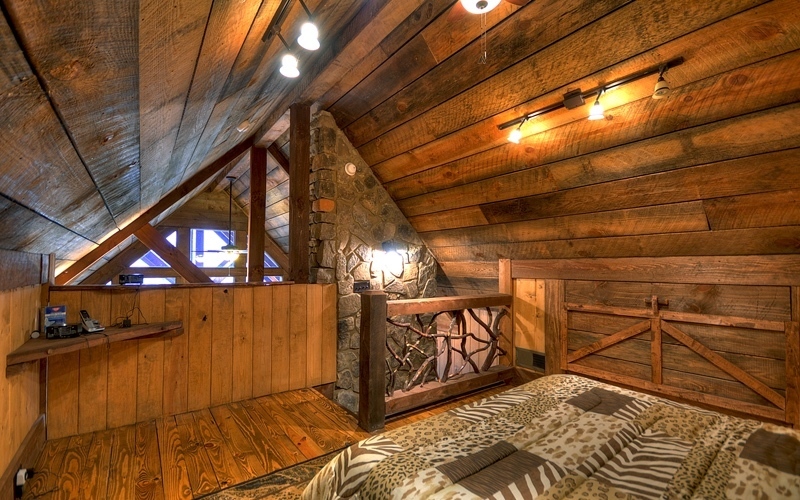 sleeping loft home is the ultimate Mtn Lodge! Situated on 5 mtn acres w/ beautiful valley & mtn views w/ Big Creek in the distance - featuring deeded comm access to Big Creek. 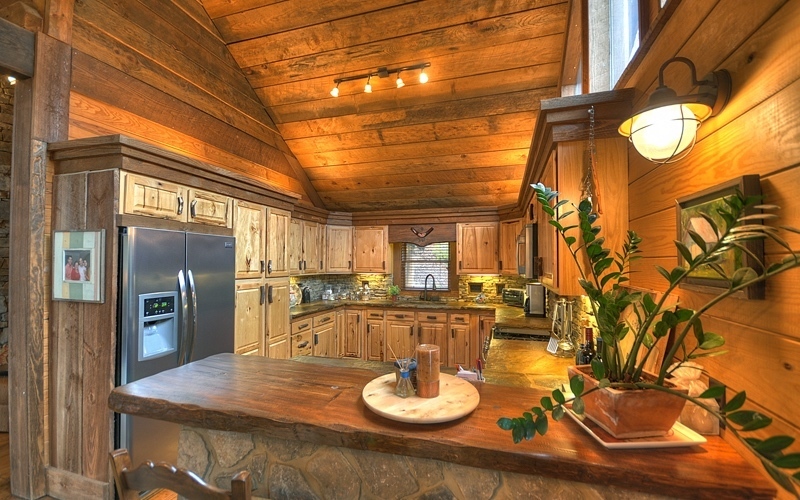 Open floor plan featuring GR w/ a "wall of glass", massive Rock FP, cathedral ceilings w/ "modern rustic" design elements throughout. 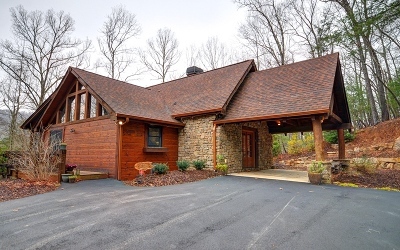 Lg covered "party porch" & screened in porch w/ wrap around porches & decks, grand log entry to "Winding Log Ridge", drive under porte cochere w/ "massive rock columns", walk in stone tiled shower w/ WATERFALL feature, stone countertops & copper sinks, rustic "barn wood" wide plank floors, & custom gourmet KIT. 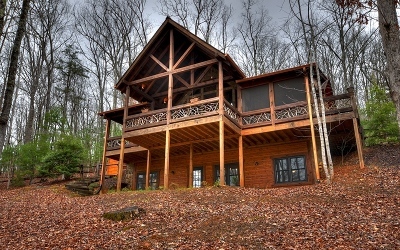 Fin. 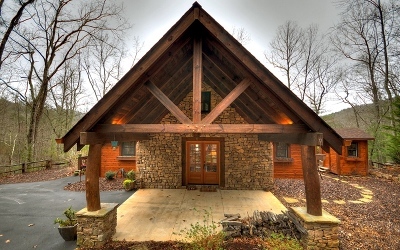 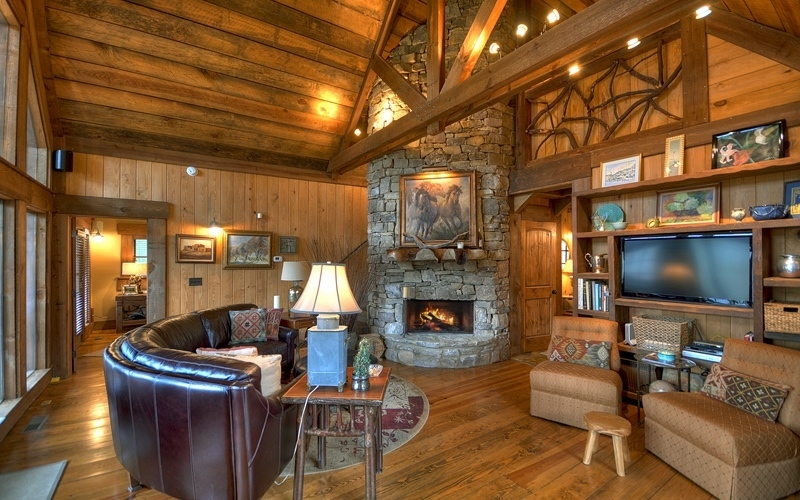 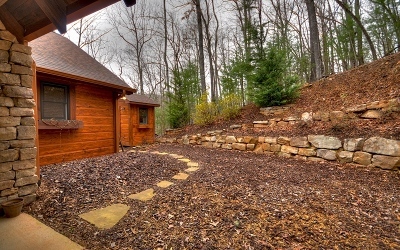 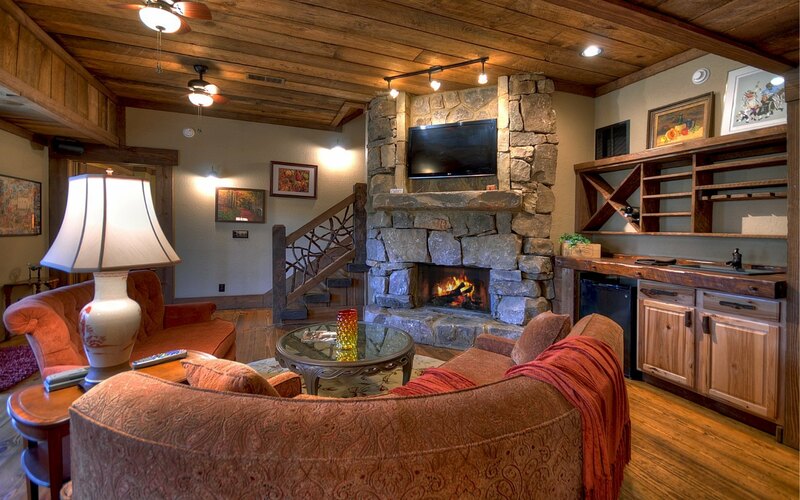 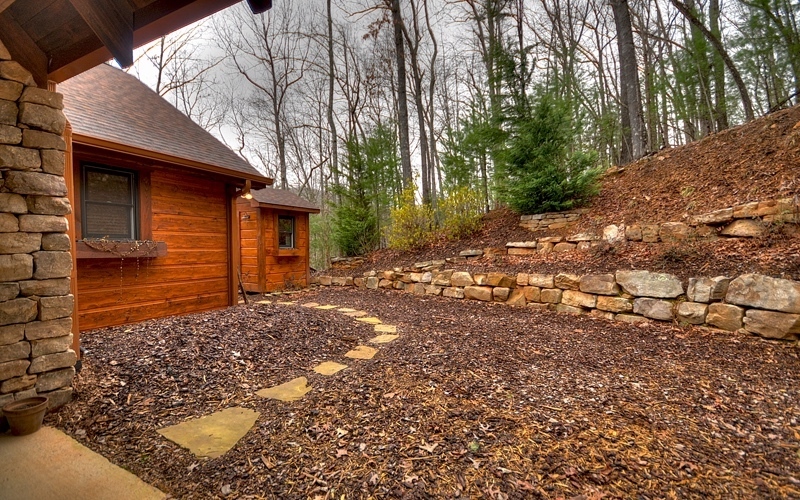 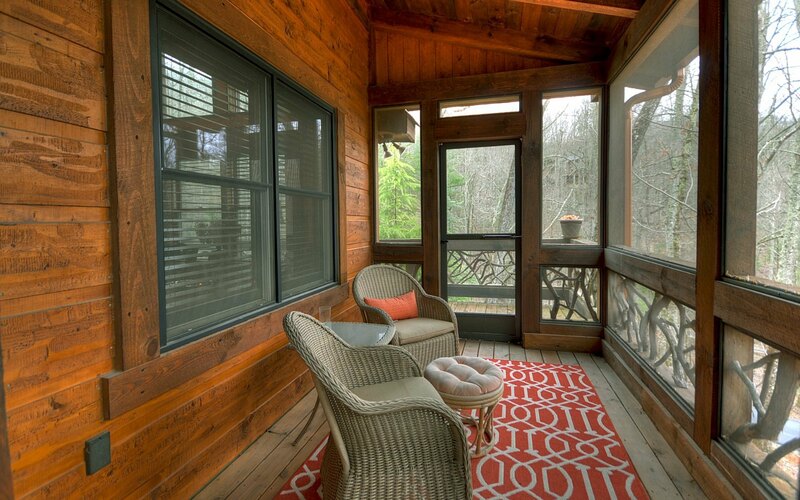 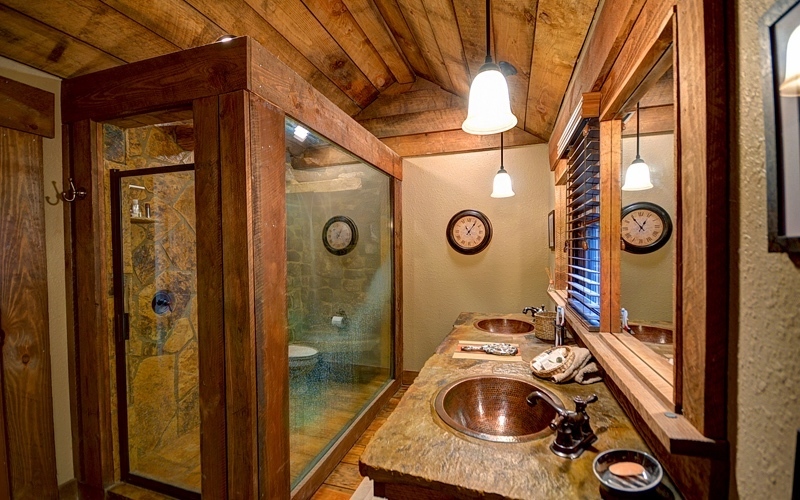 BA features REC Rm/Den w/ wet bar & gas log FP, NEW Fire Pit, Great for entertaining. 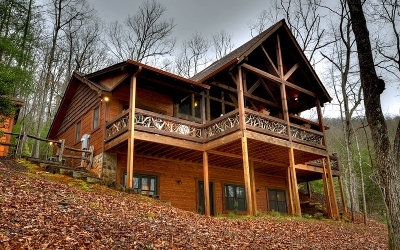 Located in the "prime" Aska Adventure Area.